Show customers you run a top-notch business with our Classic Gray Suit business card design template, a distinctive choice for service professionals such as financial planners, technology consultants, and human services providers. 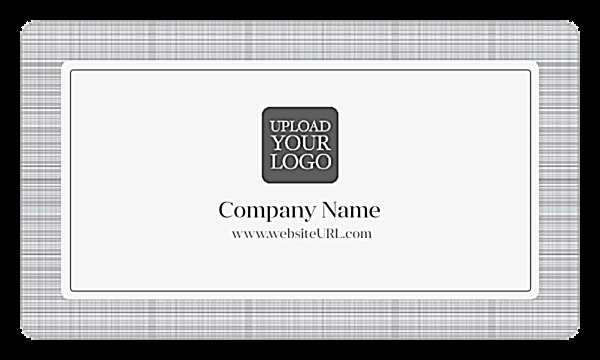 The back of our Classic Gray Suit template features your company name, website, and logo in a white field inside a classical gray frame; while the front features your name and contact information in a minimalist layout. Customize font styles and colors to accurately reflect your brand image. Customize Classic Gray Suit with your choice of four conventional color schemes and four edge options, then upload your logo and add your own text. Whether you choose standard business cards, folded business cards, or uncoated business cards, your custom design will get noticed! 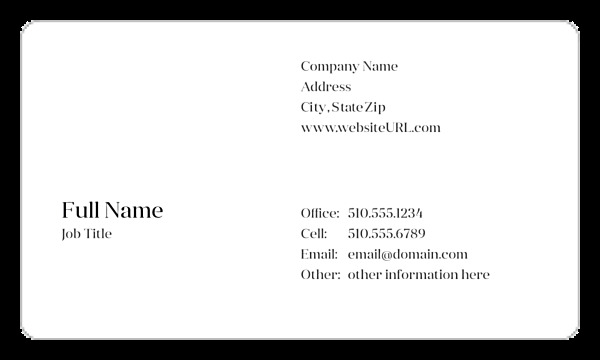 Use PsPrint’s business card maker to create your own personalized business cards – no designer needed! Use the online design tool to choose your color scheme, add text, edit your font, and adjust the layout. When you’re done tweaking your design, simply select printing options, check out, and your business cards will soon arrive at your doorstep – that’s all there is to it! While your business cards print, you can download a free PDF of your design to share with friends, family, and colleagues! Your business cards will make a compelling statement to potential clients with PsPrint’s superior-caliber paper stock and high-quality printing. And, with our customer satisfaction guarantee, you can rest assured you’ve chosen the right print marketing partner to help your business grow.